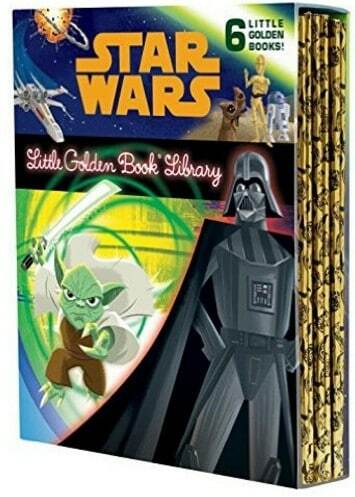 The The Star Wars Little Golden Book Library (Star Wars) is on sale for $16.49 at Amazon right now. That's 45% off the list price of $29.94! The first six episodes of the epic Star Wars space saga—The Phantom Menace, Attack of the Clones, Revenge of the Sith, A New Hope, The Empire Strikes Back, and Return of the Jedi—are retold in this Little Golden Book library! Featuring stunning retro illustrations, this boxed set of six Little Golden Books is perfect for Star Wars fans of all ages!